Dry to moderate moisture. Open woods, upland prairies, savannas, bluffs. This is an erect, perennial forb that rises on a basal rosette of leaves and a flowering stem from a rhizome and stolons. It can be from 4″ to 17¾″ in height, though it is usually no more than 16″ tall. It often forms colonies. The stolons are 1⅜″ to 4⅓″ long, densely woolly, and leafy. They recline on the ground with the tips ascending. They root at the nodes, forming new plants. 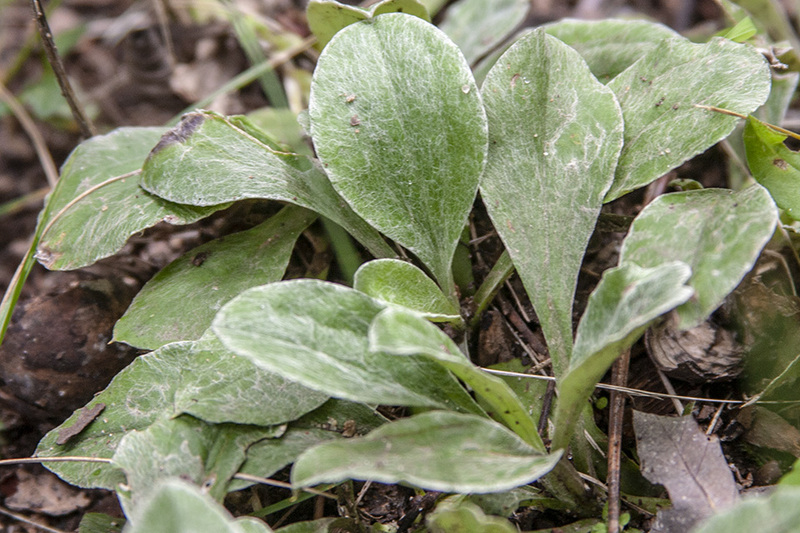 Basal leaves are spoon-shaped, 1″ to 3¾″ long, and ¾″ to 1¾″ wide. They are rounded or broadly pointed at the tip, and sometimes have a small, abrupt, sharp point at the tip. They taper gradually to the leaf stalk at the base. There are 3 or 5 prominent veins extending from the base to the broadest part of the blade. 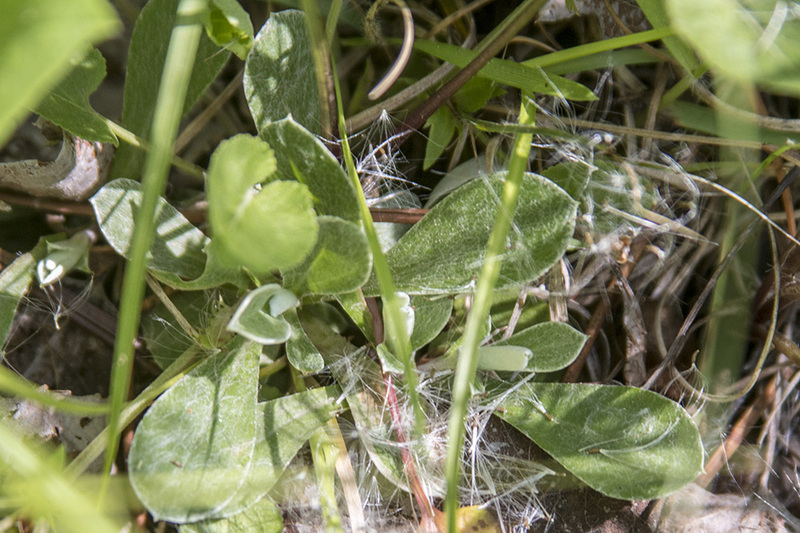 The upper surface is moderately to densely covered with white, short, matted or tangled, soft, woolly hairs, giving it a woolly or felt-like texture. It usually becomes less hairy at maturity but not hairless or nearly hairless. 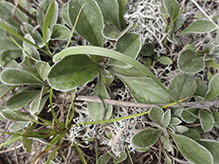 The lower surface is densely covered with white, short, matted or tangled, soft, woolly hairs. The hairiness of the lower surface persists at maturity. The margins are untoothed. 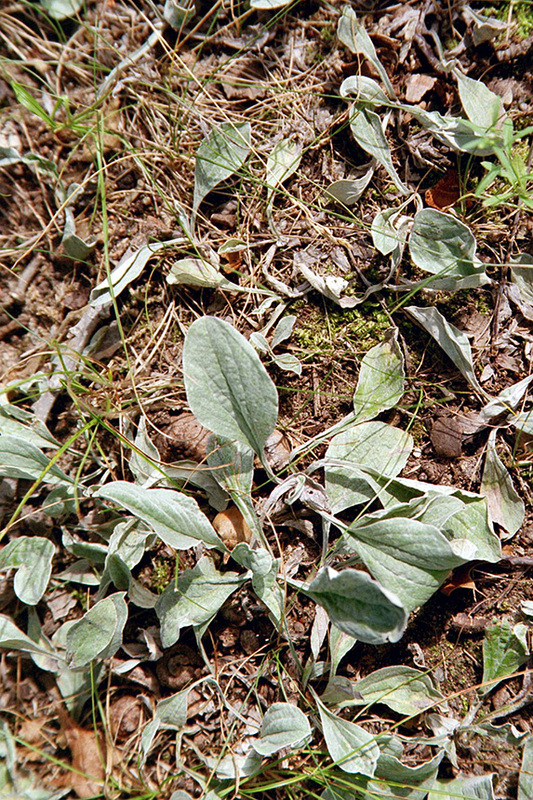 Basal leaves are often evergreen. 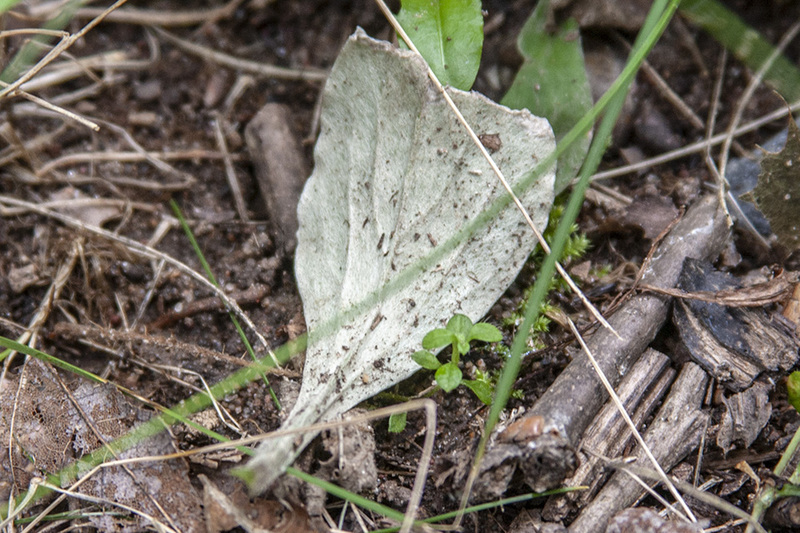 Stem leaves are alternate, linear to narrowly lance-shaped, and 3 ⁄16″ to 1¾″ long. They taper to a sharp point at the tip and attach to the stem at the base without a leaf stalk. 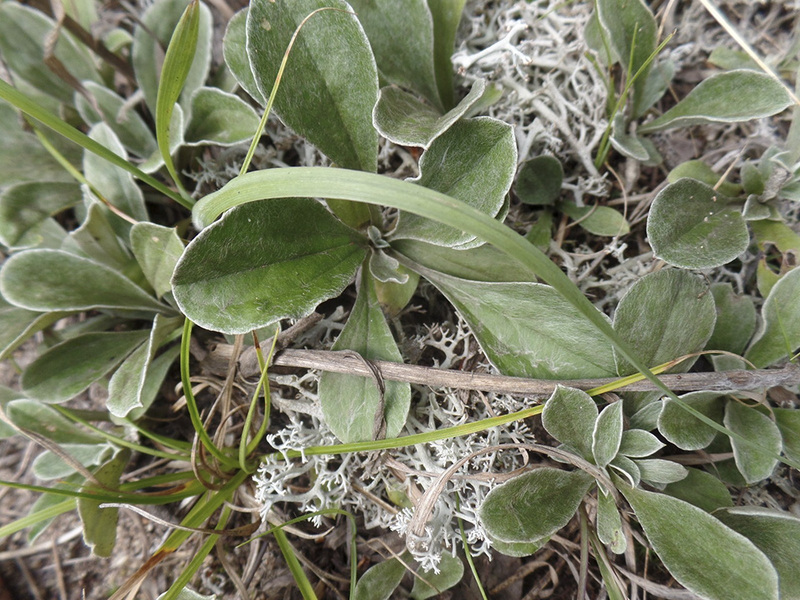 The lowermost leaves are often narrowly inversely egg-shaped. The upper leaves often have a short, hairlike extension of the midvein at the tip. The upper and lower surfaces are densely covered with white, short, matted or tangled, soft, woolly hairs. 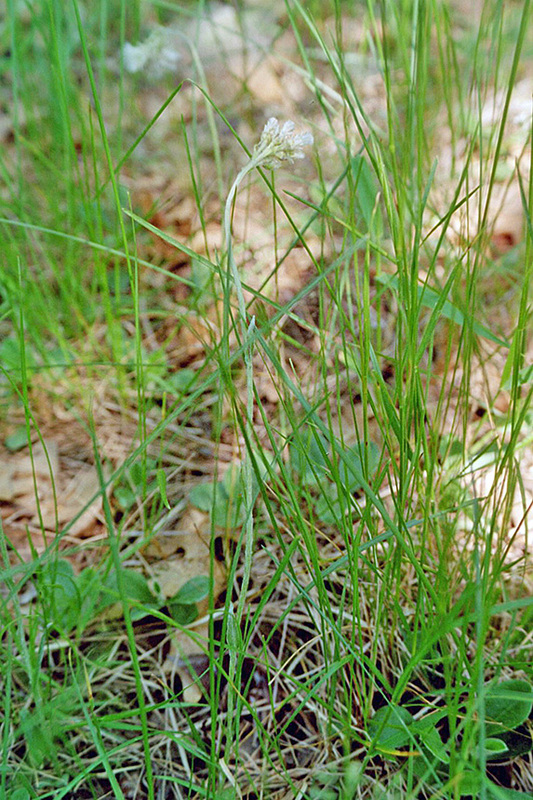 The flowering stem can be 3½″ to 17¾″ tall, though it usually reaches no more than 11″ in height. 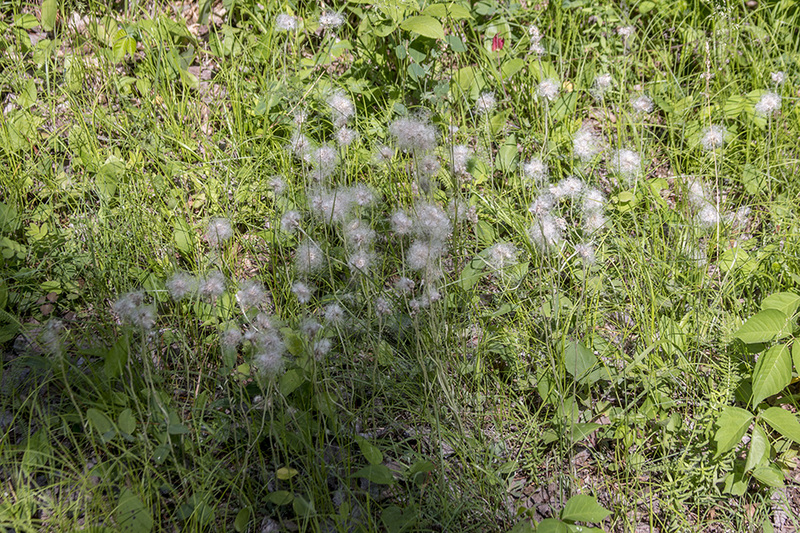 It is erect, sparsely leafy, and densely covered with white woolly hairs. It sometimes becomes hairless in patches with age. There are no purple glandular hairs near the top of the stem. The inflorescence is a tight, round-topped cluster of 4 to 12 flower heads at the end of the stem. Male and female flowers are borne on separate plants. A population of plants may have both male and female plants, or female plants only. The whorl of bracts (involucre) subtending a flower head on male (staminate) plants is ¼″ to ⅜″ long. 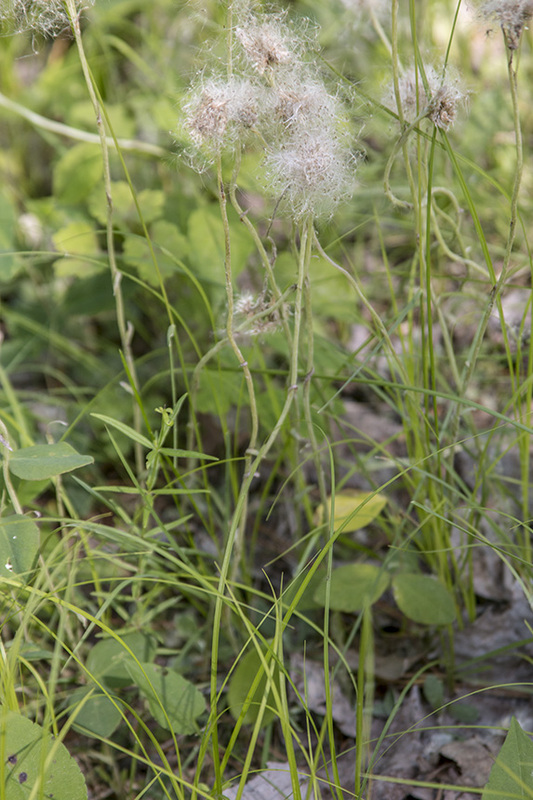 The involucre on female (pistillate) plants is 5 ⁄16″ to ½″ long. 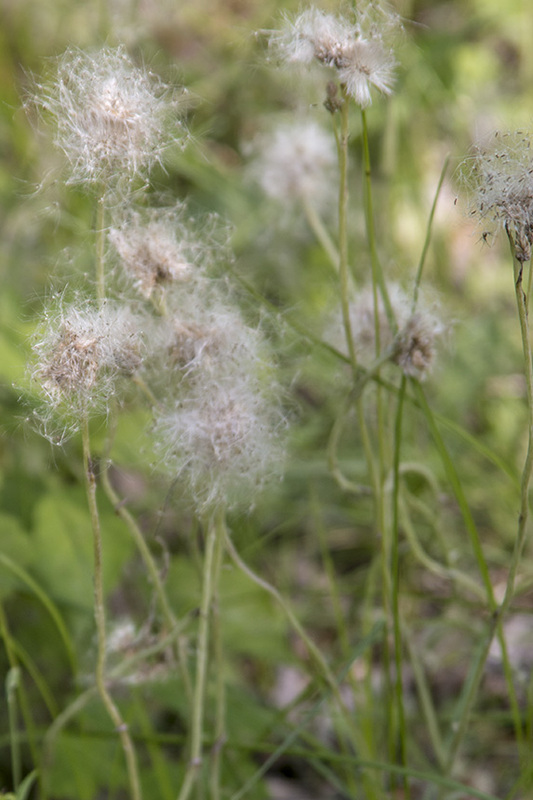 The flower heads have 20 to 100 white or pinkish, tubular disk florets and no ray florets. Male florets are ⅛″ to 3 ⁄16″ long. 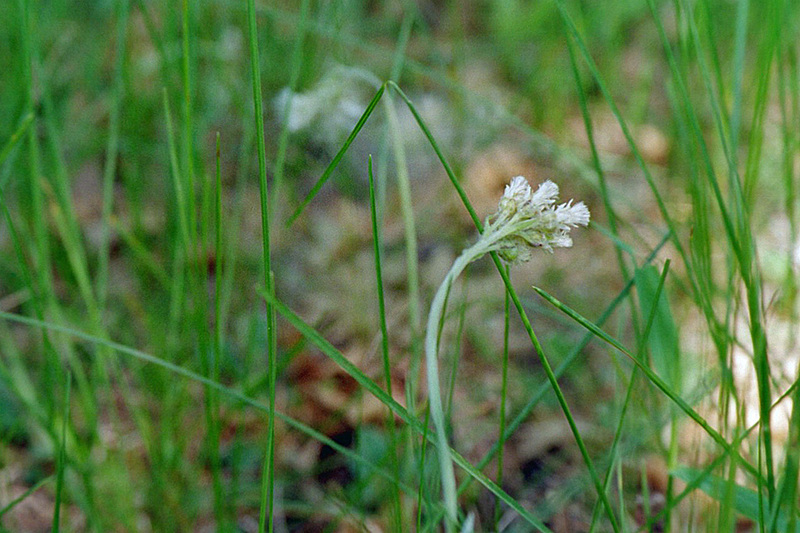 Female florets are ⅛″ to ¼″ long. The fruit is a small achene with hairs at the tip. There is no floral scent. 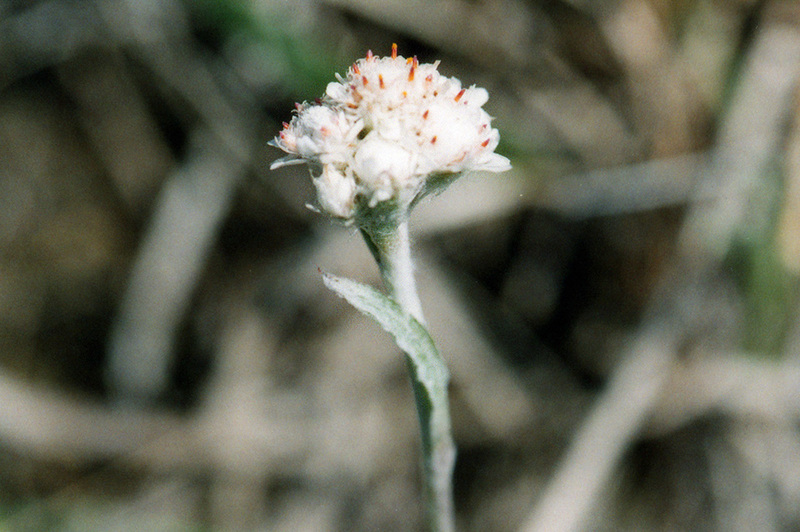 Antennaria parlinii is the only pussytoes species in Minnesota with flowering stems that can be more than 13¾″ in height. 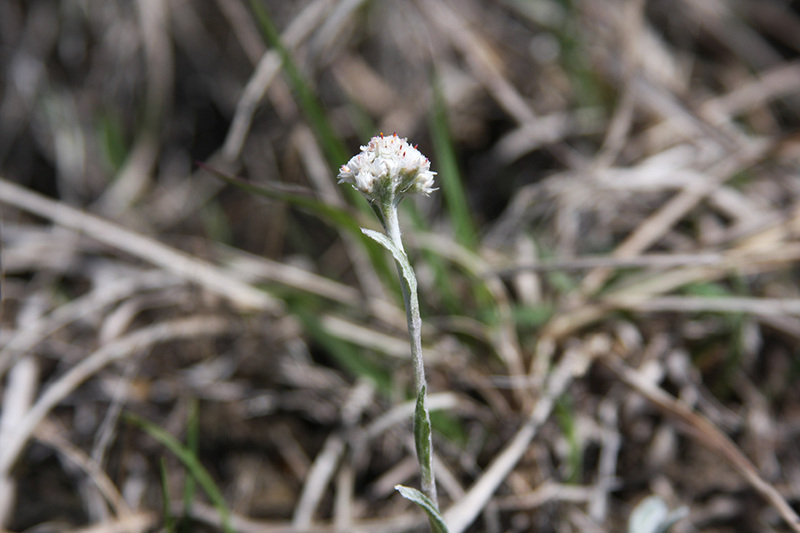 Parlin’s pussytoes (Antennaria parlinii ssp. parlinii) stems have purple glandular hairs near the top of the stem. 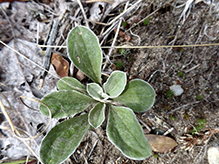 Basal leaves are sparsely hairy or hairless on the upper surface. The hairs on the basal leaves are more cobwebby than woolly. They become hairless or nearly hairless at maturity, not simply less hairy. 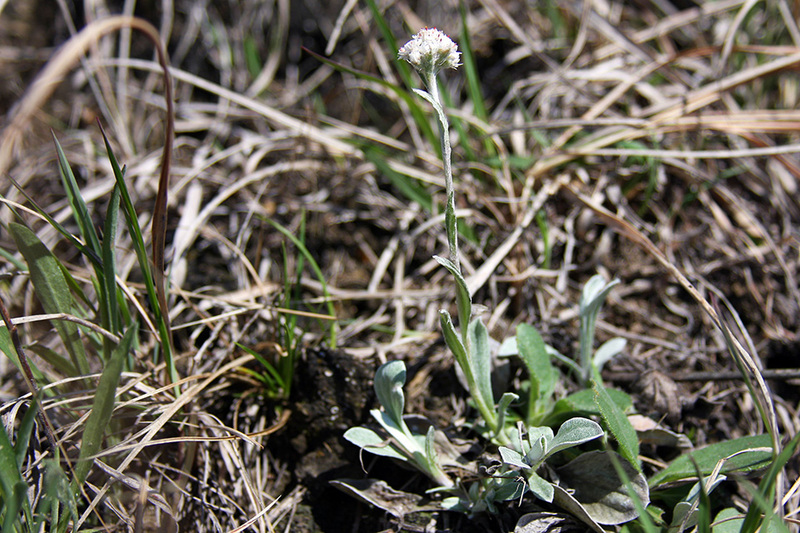 Field pussytoes (Antennaria neglecta) has a shorter flowering stalk, usually no more than 8″ tall. 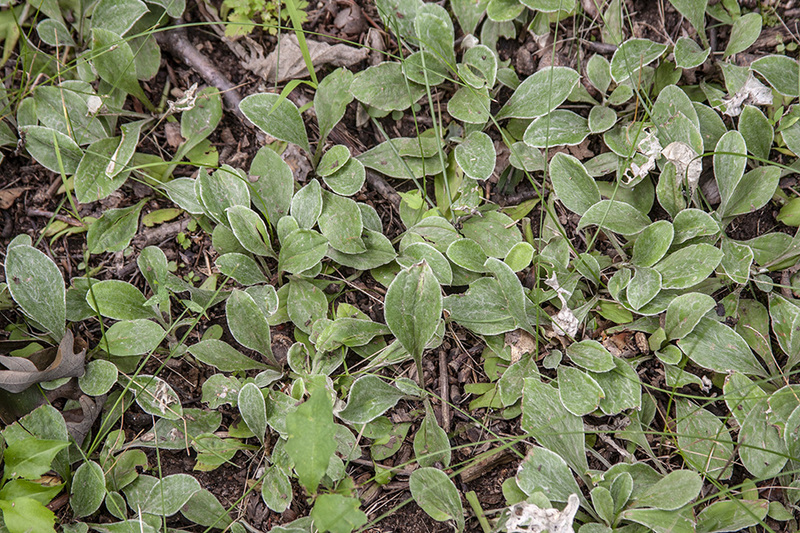 The basal leaves are shorter, no more than 2½″ long, and narrower, less than ¾″ wide. They have only a single prominent vein, occasionally also a faint pair of parallel lateral veins. 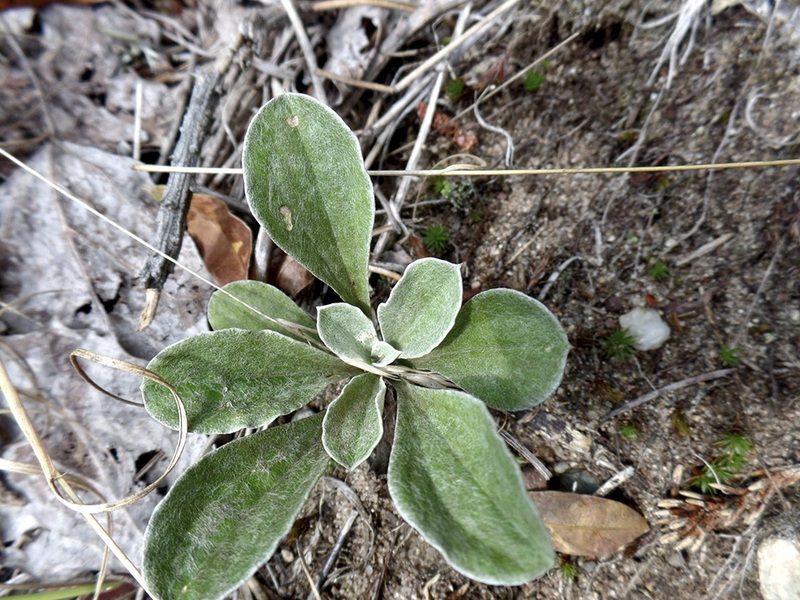 Plantain-leaved pussytoes (Antennaria plantaginifolia) stolons tend to be shorter, 1″ to 3″ long. Young stolons are ascending. In pistillate plants the involucre is shorter, 3 ⁄16″ to ¼″ long. In Minnesota, it is found only in the driftless area in the extreme southeast. Distribution Sources: 4, 7, 24, 28. Referring to a flower that has a female reproductive organ (pistil) but does not have male reproductive organs (stamens). Referring to a flower that has a male reproductive organs (stamens) but does not have a female reproductive organ (pistil).